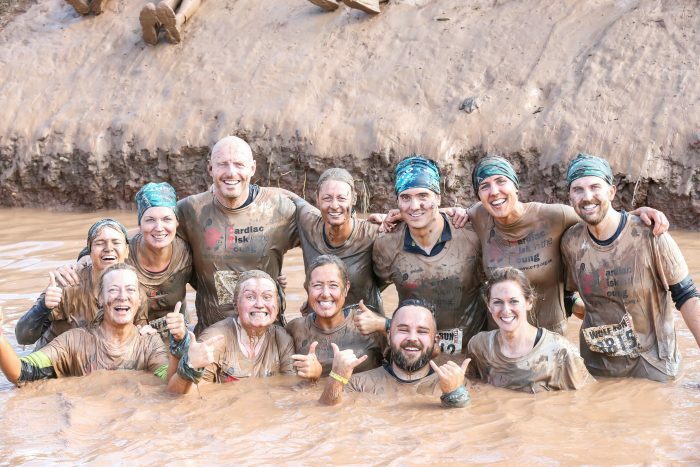 A TEAM of runners from Staffordshire Police were put through their paces last weekend as they took on one of the toughest mud runs in the country in memory of a Cheadle teenager. The group of twelve runners took part in Warwickshire’s Wolf Run event, in a bid to raise money for Cardiac Risk in the Young (CRY) in memory of Joe Leyland. At the race, which took place on the first weekend of the month, teams of fund-raising runners faced a 10k assault course, consisting of 25 obstacles including a deep water crossing, river swim, high climbing nets, log walls, unrelenting terrain and lots of thick mud. The mud-runners from Staffordshire Police were taking part in the race in memory of 16-year-old Joe, who passed away in 2016 due to an undiagnosed heart condition.